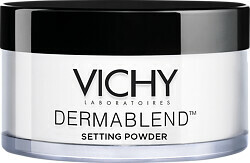 Reinforce and enhance the hold of your make-up for up to 16 hours with the translucent Vichy Dermablend Setting Powder. This long-lasting powder will set your make-up and significantly prolong its life. It has been specifically formulated for use with the Dermablend Corrective Foundations but is suitable for use with other foundations and bases. Its micro-fine, fragrance-free texture is invisible upon application and ensures a smudge and water resistant finish for up to 16 hours. It will not affect the shade of your foundation, settle into any fines lines or wrinkles and will provide a matt, natural-looking finish to all skin-tones. To use tap a small amount of the powder onto the included powder puff and gently pat on the face to set make-up. Dab off the excess. If using a brush, lightly dip it in the powder and then gently tap it against the lid to remove any excess. Sweep across the face to ensure long-lasting hold. Allergy tested and suitable for sensitive skin. Paraben-free. 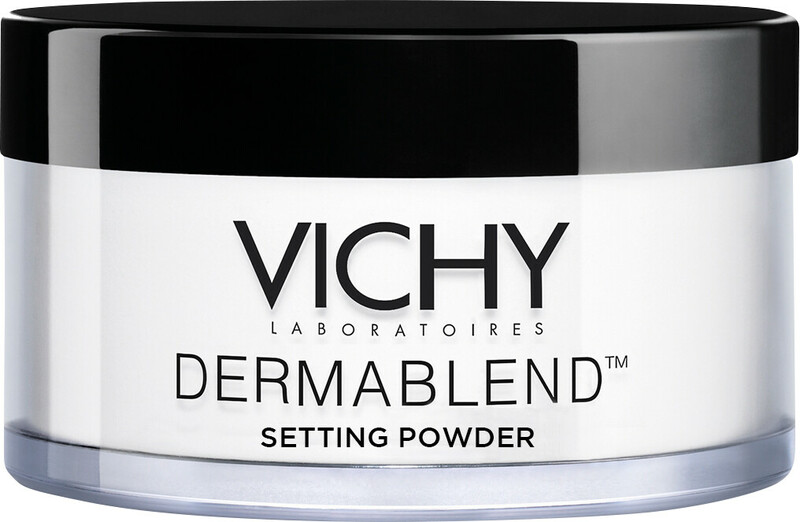 Vichy Dermablend Setting Powder 28g is rated 4.6 out of 5 by 56. Rated 5 out of 5 by Maggie83 from great for oily skin I keep coming back for this setting powder. it keeps my shining oily complexion at bay, and Escentual got the best price for it! Rated 5 out of 5 by SL73 from Excellent setting powder This powder works well and lasts all day too, with no need for retouching. 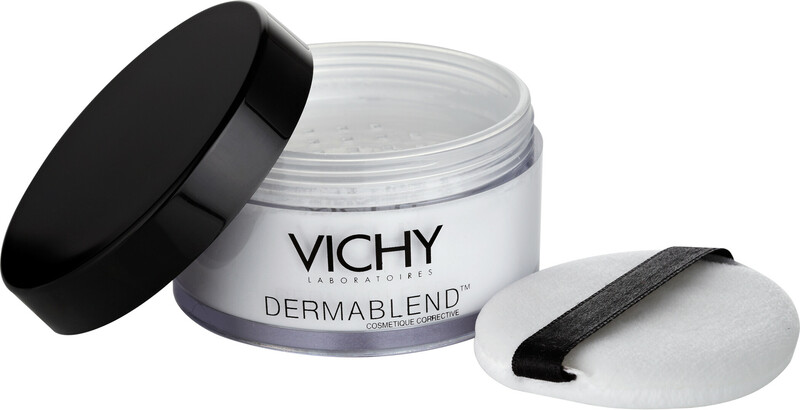 I use this with the Dermablend makeup range to hide and conceal. Rated 5 out of 5 by LLU14 from The Perfect setting powder The amount of product that you receive is amazing! I use a damp beauty blender to press the powder under my eyes to set my face and any where else that I experience oil break outs. It doesn't leave a white coloured stain on my face which is a result too! Rated 1 out of 5 by Jo05 from Really disappointing! Hated using it as it left weird whitish residue and was giving me a very unhealthy look. It clings to dry skin and fine lines. Horrible!